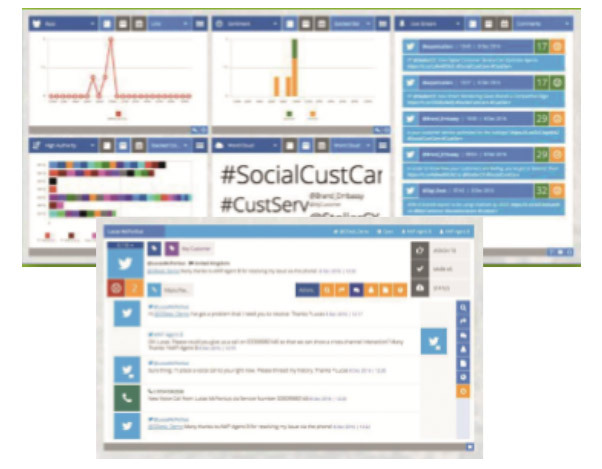 Manage customer contacts across voice and multiple digital channels, including social media, email and web chat. Standard Social media configuration includes Twitter, Facebook, Youtube, Instagram and G+, as well as brand mentions across the wider social sphere. All contacts, via voice, email, chat and social media can be delivered into a universal queue and distributed effectively across a team of agents. Each agent then has access to a blended voice and digital inbox with full engagement capabilities. Using advanced workflow, contacts can be automatically assigned to specific teams or agents. Using keyword tables, caller ID, email and social contacts can automatically be tagged, prioritised and distributed effectively to the most appropriate agent.